Well hello there my new favorite subscription. Have you heard about the new subscription by True Botanicals called the Sun & Moon? This isn’t like other subscription boxes where everything is a surprise. Here, you pick your product (s) and you get one surprise (it’s all good, read below). This new subscription just started in July and I’m loving it. The subscription makes it super convenient and easy to change. So easy. 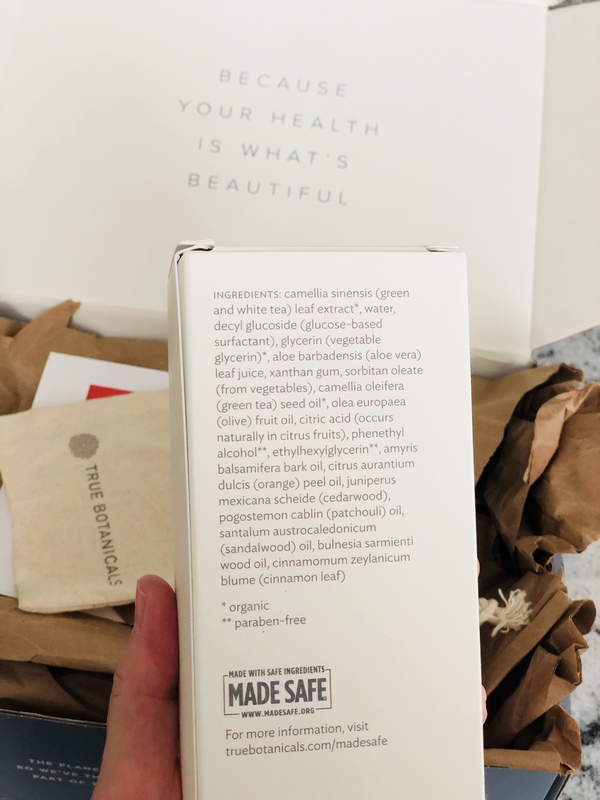 Plus all True Botanicals products are MADE SAFE®Certified, which means they are literally made with Safe Ingredients. “MADE SAFE® is America’s first nontoxic seal for products we use every day, from baby to personal care to household and beyond. 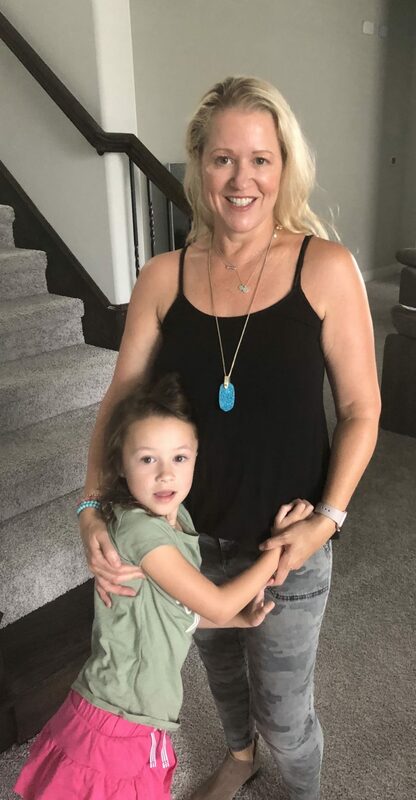 We certify that products you use on your body, with your family, and in your home are made with safe ingredients not known or suspected to harm human health. 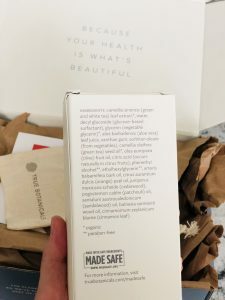 For more information on MADE SAFE® check out their website and my post here. For my first subscription is the True Botanicals Everyday Sheer Coverage SPF 20 in light. Usually the product costs $40, but with the subscription it is 10% off ,so $36 (I will take that thank you very much). This subscription will automatically renew every 3 months, but I can change it to more frequently if needed. 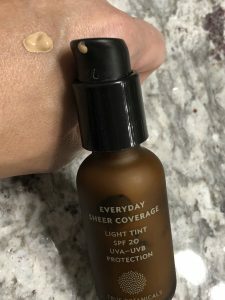 I really like the light tinted broad spectrum sunscreen. It absorbs quickly, leaving a little tint. I apply it to my face, neck and chest after my other morning skin care ritual, and then make-up (when I wear it). 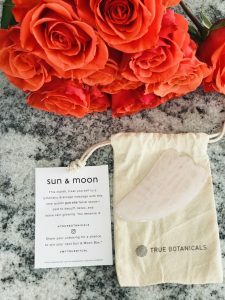 This July Sun & Moon subscription included a 9 oz. 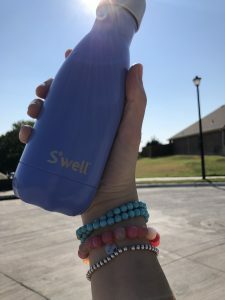 Swell bottle! 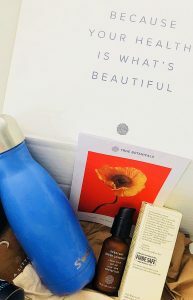 A pretty blue aluminum bottle made to keep you hydrated, decrease plastic use and easy to carry around. We are loving it! Great for on the go, on a walk, in my daughter’s backpack. 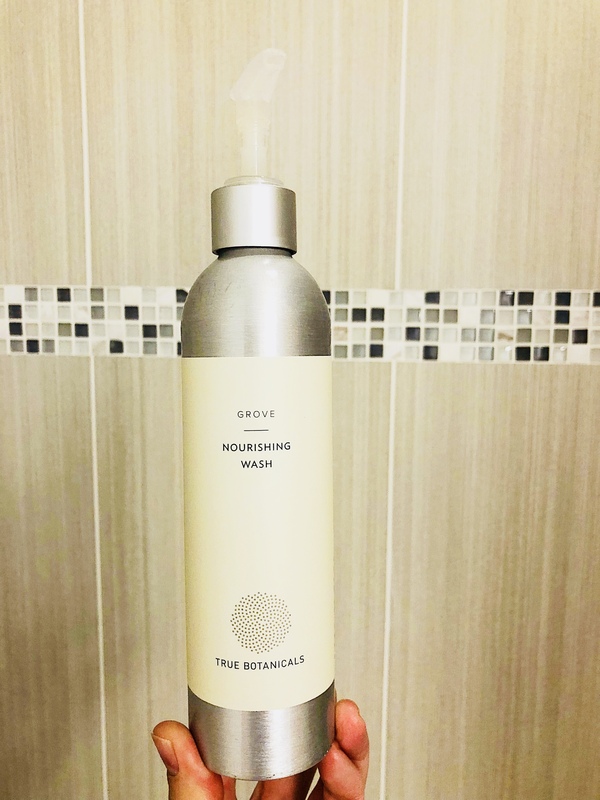 My second Sun & Moon subscription is the Nourishing Body Wash “Grove” which I set up for every month. 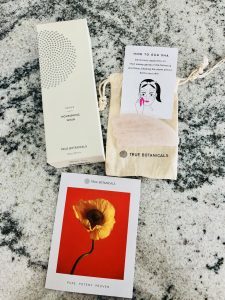 This is one of my favorite True Botanicals products (however, I still need to try more-one day). Smells so lovely, a little wood and citrus scent that works for men too. The wash has an easy to use pump and the packaging is minimalistic chic and recyclable. Just a little pump mixed with water to get a rich lather and makes skin super soft. I have one in my guest bathroom as well and even my mom loved it. Plus made with safe ingredients certified by MADE SAFE® so I can use this on my daughter. I use the stone in the morning with serum and it really helps decrease my puffy eyes and gives a nice glow. Have you tried one of these? LOVE IT! 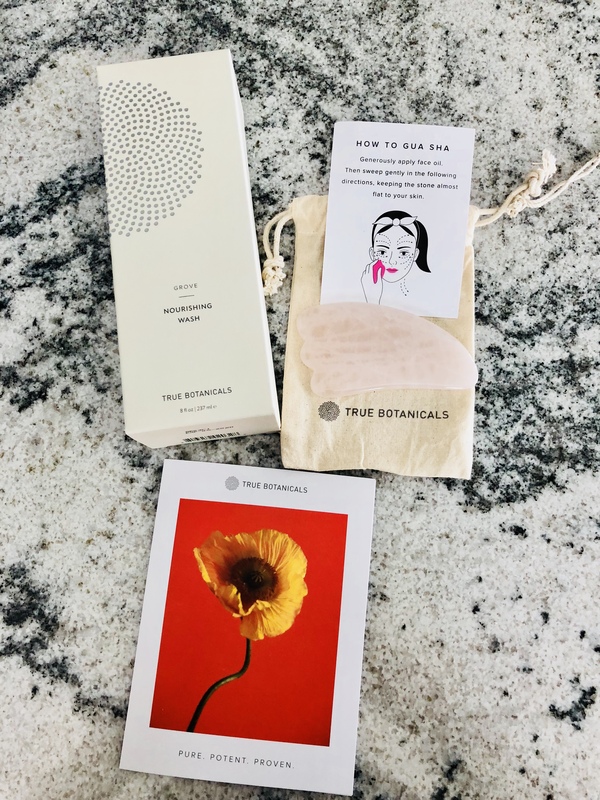 Love everything about True Botanicals because their products work, they are made with safe ingredients plus they have third party certification with MADE SAFE® to prove it. 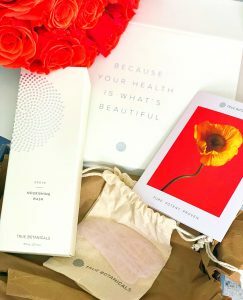 The Sun & Moon subscription offers a way to receive the True Botanicals products you want, save 10% and receive a wellness treat. Winning!!! Are you subscribed or what are you thinking about getting?